Hello everyone! 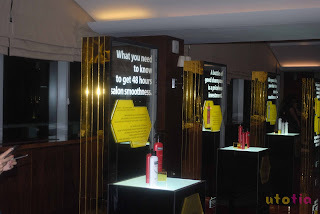 On Wednesday August 28th, I was lucky to attended TRESemme Exclusive Experience. Thank you so much Fashionese Daily, for inviting me to this great event. So the event started in Anna Wijaya Salon, for us, bloggers, to enjoy the Keratin Treatment using TRESemme Keratin Smooth series. Soon after the registration, I was escorted to have my hair to be properly washed and contioned using TRESemme Keratin Smooth series. As you know, I dyed my hair several times before, and one of those hair coloring process involved the bleaching process. In my previous post here, I explained that my hair ends are completely dead inside. T__T I guess I need to cut my hair short as soon as possible... But, after experiencing the Keratin Treatment using TRESemme Keratin Smooth series including shampoo and conditioner, I feel that my hair was being refreshed and felt smoother than before. And there goes the hair styling, blow and dry, of course my hair was set using TRESemme Extra Hold Hairspray. The hair spray has such a nice scent which I love since I always feel dizzy whenever I have to wear hair spray before (too strong smell). 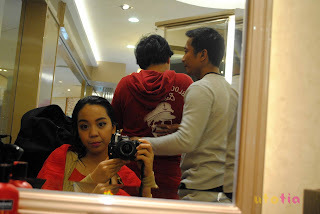 So the treatment and pamper were done, we're get ready to Kempinski for dinner.... with Alphard! Woohoo, feels like a celebrity, yes? The event is really exclusive just like the name. Arrived in Pre Function Heritage Room, Hotel Kempinski, we were greeted with the dominance of Red color everywhere, including roses. After entering the entrance, there was a photo booth to pose just like on a red carpet, don't you feel like a star? Okay, so the dinner starts, while having such a really nice dinner we were enriched with the hair and beauty knowledge right from the hair expert himself; Mr. Chandra Gupta. He talked a lot about the hair knowledge like how we should never put our conditioner on our scalp and stick on our hair ends only. 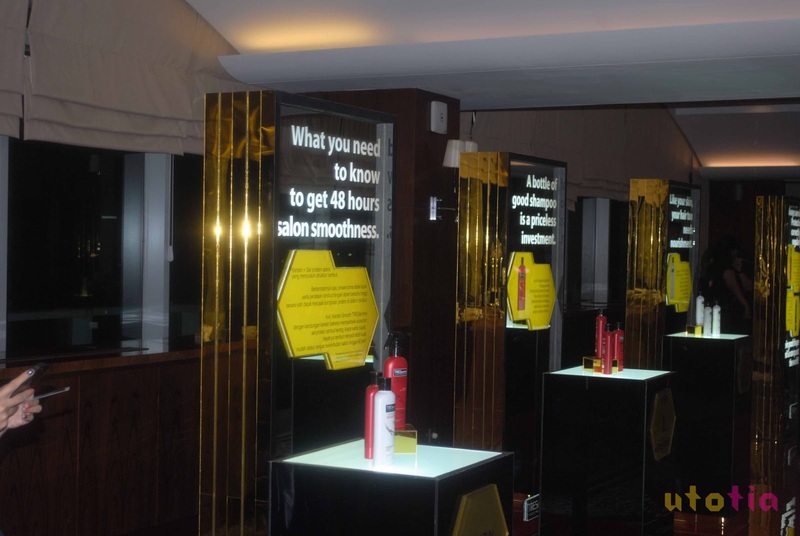 Also, the product knowledge of TRESemme Keratin Smooth series which will make our hair become smoother and tamed. No more flyaways and dry ends! I learned that beside hair loss and oily scalp, women in Indonesia are also experiencing another problem, which is unruly hair. Why this matters? As Mr. Chandra Gupta stated, healthy and beautiful hair is hair which is smooth and manageable. This keratin treatment is quintessential for building healthy and beautiful hair. And please note that this Keratin Treatment is applicable only for hair, not scalp. I also learned that environment, including air-conditioned air also contributes to the hair damage. Whoa, since I'm an office lady, I should also take care more of my hair since I spend most of my time in the office. What's so special about Keratin Smooth series compared to any other hair treatments are this Keratin Smooth contains less detergent and surfactant, making our hair face less risk of being more damaged. I've heard a lot of Keratin treatment in many hair salons, but TRESemme has became the pioneer in introducing this Keratin treatment in home hair care products in Indonesia, making it easier for the style seekers to have salon-finish hair by their own hand, at home! This Keratin Smooth series will be available soon in many hypermarket, supermarket, and convenience store so please wait for it! And more good news is this Keratin treatment by TRESemme will also be available soon in November 2013 at 100 hair salon in Indonesia.